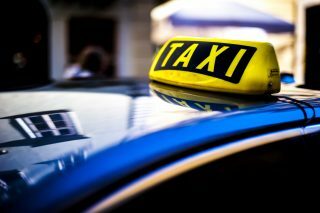 World leading taxi-hailing service, Uber has introduced Driver Care, a private healthcare cover for driver-partners and their families in South Africa. The initiative is in partnership with Discovery and is powered by the latter’s Primary Care Activate product. The healthcare package includes consultations from a general practitioner, daily medicine prescriptions, optometry benefits and access to emergency private healthcare services for traumatic events. The medical cover is on a voluntary basis and drivers interested are required to purchase for about 15 dollars (R216) with an additional prescribed amount for dependent adults and children under the age of 21. “We are working hard every day to find innovative solutions to make a difference in the lives of driver-partners. Partnerships such as these will ensure that they have access to affordable private healthcare services, as their health is a priority while they continue to grow their businesses,” Uber’s Head for Business and Driver Partnerships, Ro’i Ehrlich explained. Additionally, a literacy programme anchored by experienced consultants as part of the partnership will see driver-partners educated on the importance of leading a healthy lifestyle while driving. These sessions will be held at the various Uber Greenlight Hubs located in all cities that the company operates in across South Africa. The healthcare initiative for Uber’s drivers comes as rival firm Bolt (formerly Taxify) steps up efforts in the intense competition for South Africa’s transportation space. Recently re-branding to Bolt, the prominent transportation platform has revealed plans to launch a food delivery service. With the introduction of this service, South Africa will become one of the first three countries worldwide where the service is offered – others are Estonia and Finland. According to CEO and co-founder of Bolt, Markus Villig, the company has been built around offering the best prices for passengers, and the lowest commissions for drivers. This has led it to grow faster and more cost-efficiently than any other ride-hailing platform in the world. Bolt is available in more South African cities than any other ride-hailing platform, and this development will enable more South Africans to access the convenience and cost efficiency of an app-based food delivery service, IT News Africa reports. “Now we want to bring this approach to food delivery. Combined with our technology, efficient operations and thousands of drivers in South Africa, we plan to build the best food delivery service for the people who already use our services daily,” Villig added. Its recent rebranding is aimed at “bringing its identity in line with the company’s broader vision of transportation.” Bolt’s services already include ride-hailing with cars and motorbikes, as well as scooter sharing.